Happy Holidays: The First EHAG Emporium of 2011. 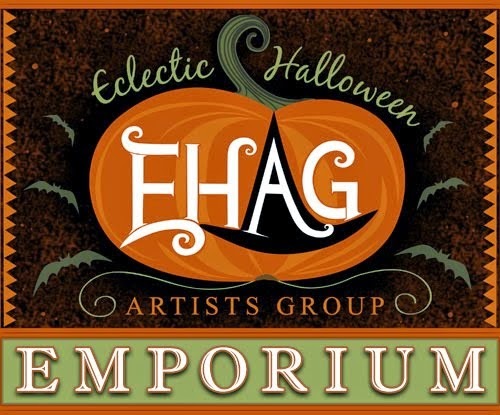 The EHAG Emporium will be throwing its doors wide open for the first time this year on January 31st. 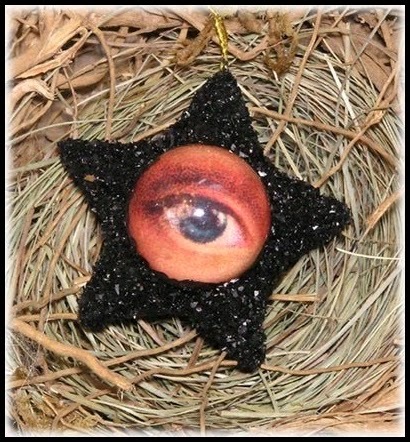 Iva Wilcox of Iva's Creations created this mysterious "Curious Eye" Halloween ornament. This pumpkin has attitude! 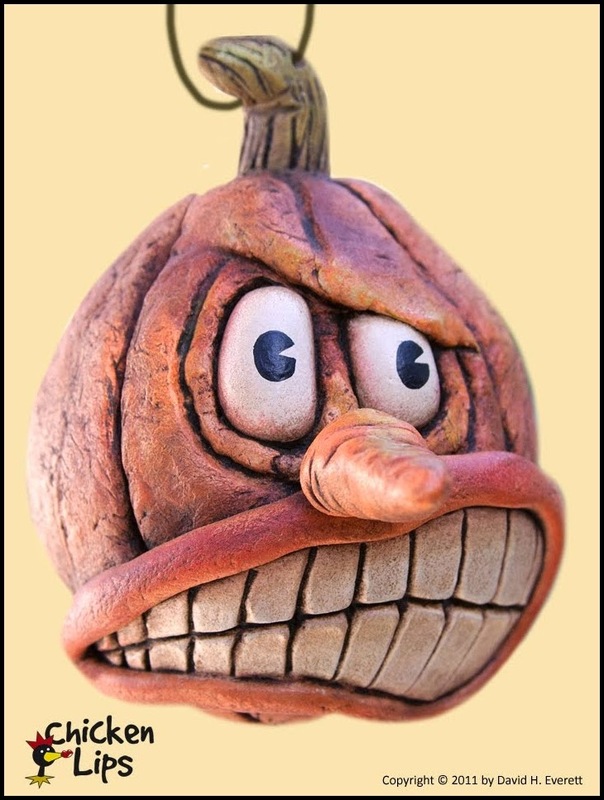 David Everett of Chicken Lips created this whimsical Halloween pumpkin ornament. 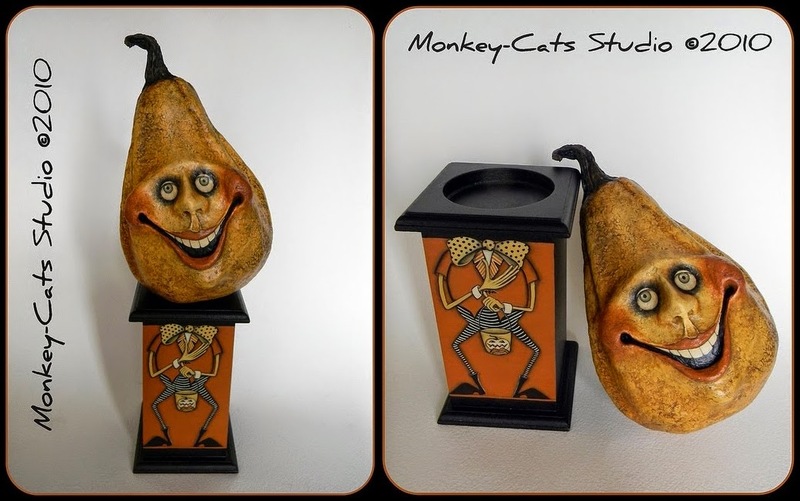 And finally, Laurie Hardin of Monkey Cats Studio has created "Gregory Gourdhead". Click on this link to go to the EHAG Emporium blog to enter for a chance to win one of these fabulous prizes. Hi Len! Thank you so much for the nice compliment on my work! :-) Glad you like the raven! Nice job on your window displays, by the way. Looking forward to seeing your next EHAG piece.